I got the white containers at Big Lots for a dollar a piece. I also took some scrap book paper and covered old icing cans, Pringle cans, and card boxes to get some different sized containers. I think it looks pretty great myself! I used some of the labels I have for free in my TpT store but printed them out smaller to fit on the boxes. By the way, thank you to everyone who entered our giveaway. It was pretty fun to read all the comments and see everyone enter. Big thanks to all of the bloggers who helped us! 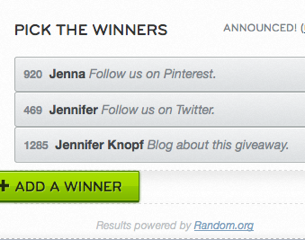 Obviously Rafflecopter was feeling the "Jens" that day! Thanks again to everyone who entered. 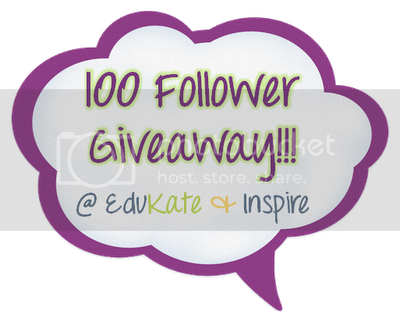 I am getting addicted to the giveaways myself! 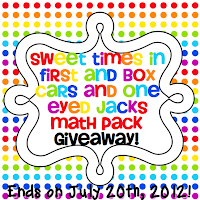 Here are some great giveaways going on right now! You did a fabulous job. I'm inspired. Your closet looks so well organized! I like the tubs you bought! Can you come do mine? Pretty please! Great job! Your closet looks much better than all of my cupboards! Thank you for the giveaway shout out!!! I am loving your closet.... I have three double door closets and a walk in closet that need to be organized like that in the room I am moving in to! I hope I can do as good of a job. It's soooo organized!!! I am hoping I can work that magic in my classroom! Ooh! And aren't those Jen's lucky! Your closet looks incredible! Thanks so much for sharing. What kinds of things did you group together? Your closet looks SO good! I, unfortunately, have to wait for the teacher before me to move her stuff out so I can move mine in! Trust me, I've already measured and bought tubs to fit it! 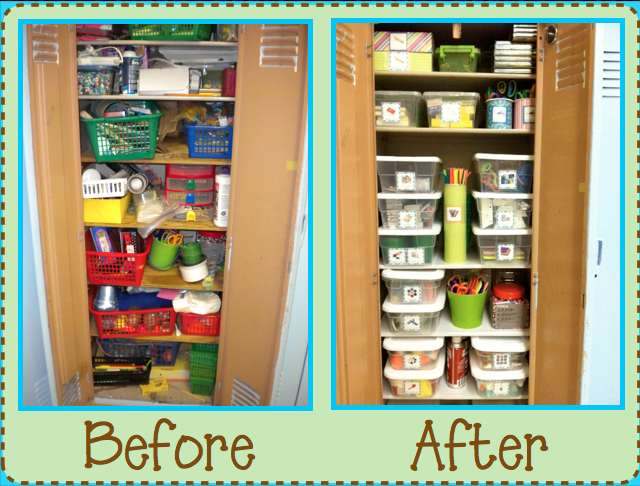 I love the idea of using different size and shape storage bins and cans. Such a good idea. Teachers love to be organized. Oh my gosh. My heart skipped a beat when I saw your closet. Organization makes me so happy!! Jealous you have a craft closet! 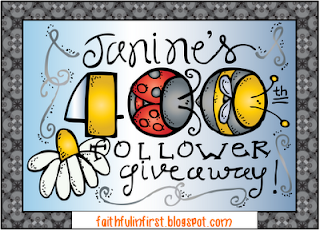 Stop by to enter my 150 Follower Giveaway!